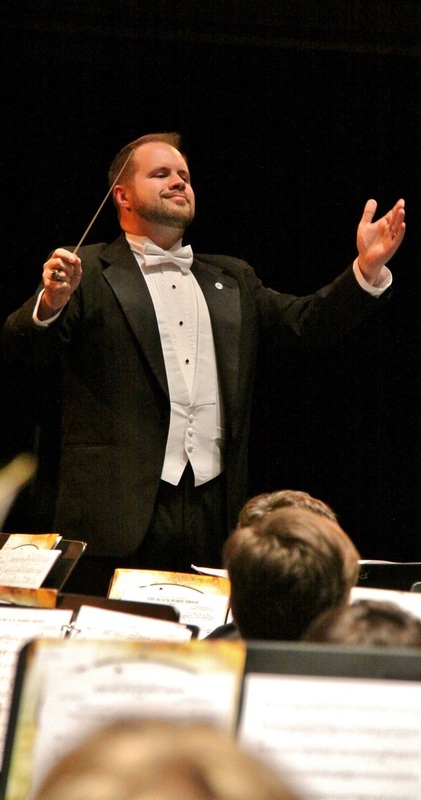 Mr. Jimeson is in his 11th year as Director of Bands at Davie County High School where he serves as the conductor of the Davie High School Wind Ensemble, Symphonic Band, Concert Band, War Eagle Regiment, and Jazz Ensembles. Since Mr. Jimeson has been at Davie High School, the band has received 15 Superior ratings at the NC State Music Performance Assessment. Under his direction, the DHS Wind Ensemble was awarded the "President's Cup" at the U.S. Army Band's National Concert Band Invitational in 2016. Mr. Jimeson was selected as Davie High School Teacher of the Year in 2013-2014. Prior to coming to Davie High School, he served as the Director of Bands at Forbush High School in East Bend, North Carolina and at Yadkinville School in Yadkinville, North Carolina. Mr. Jimeson is a graduate of Appalachian State University where he received his Bachelor of Music in Music Education. While at Appalachian State, he performed in several ensembles including, the Appalachian State University Symphony Orchestra, the Appalachian Symphonic Band, the Appalachian Jazz Band, the Marching Mountaineers, and the ASU Men's Glee Club. In addition to his duties at Davie High School, Mr. Jimeson serves as an adjudicator and clinician across North Carolina. He currently serves as the Immediate-Past Chairman of the Northwest North Carolina Bandmasters Association. His professional affiliations include National Association for Music Educators, North Carolina Music Educators Association, American School Band Directors Association, and Phi Mu Alpha Sinfonia. In his time away from school, Mr. Jimeson loves spending time with his sons, Maddox and Ryland, and wife, Karen. It is my belief that music is essential to student development. It provides for emotional expression, intrinsic worth, and opportunities for students to explore our cultures as well as others. Music is a basis for building mutual respect and working together. It teaches us how to be apart of something bigger than ones-self, and how to truly create something amazing. A student's time spent in high school is important to them, and I want to make sure they enjoy and make the most of it. It is my goal that each student graduating from my band program leaves with a lifelong understanding and appreciation for quality music and making music. It is my expectation that all students leave feeling accomplished and successful as a musicians, as a scholars, and alumni of their school.